Logan Jones, a native of Holland, MI, graduated with honors from Michigan State University with a Bachelor of Music in Music Education. She is currently teaching within Chicago Public Schools at Harlan Community Academy. Here , Logan teaches Secondary General Music to Freshman through Seniors as well as running an extracurricular choir. Upon graduation, Logan served as a Long-Term Substitute Music Teacher at Black River Public School. While there, she worked with Vocal Elements, a middle school choir, the high school Concert Choir, and Chamber Choir, a select high school choral ensemble. Logan also taught general music to grades Kindergarten - 3rd grade in a Montessori setting. Additionally, Logan was responsible for a curricular Drama course at the high school and vocally coaching singers for Solo and Ensemble. Logan completed her student teaching internship in Grand Haven Public Schools. She assisted with an 8th grade women’s choir, 8th grade men’s choir, Freshman Women’s Chorale, Chamber Choir (large mixed SATB chorus), Advanced Women’s Ensemble, and Choral Ensemble (highly select mixed SATB chorus). She additionally assisted with Sweet Harmony and Sweet-Her harmony (10-person gender groups from within Choral Ensemble) as well as Buccaneer Union, an extracurricular 7th – 12th grade men’s choir. Logan also assistant directed the Grand Haven Lakeshore Middle School musical, Elf Jr. 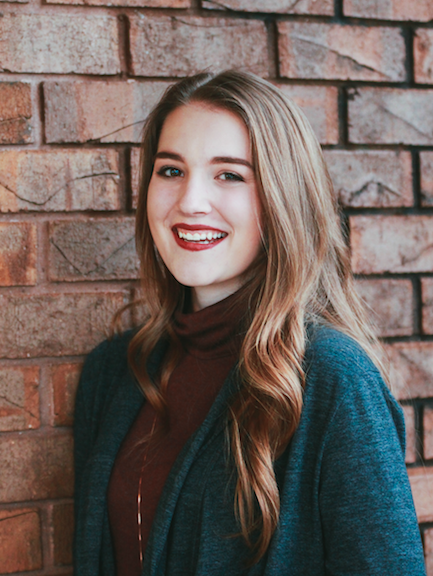 While completing her coursework at MSU, Logan successfully ran the award-winning MSU American Choral Director’s Association Student Chapter as well as the Burcham Sings Outreach Program, an outreach community choir. She enjoyed multiple competitive internships, working with the Michigan State Campus Choir and the MSU Community Music School Young Men’s Chorus. In addition to her choral work at MSU, Logan taught early childhood music courses to children ages infant through 7 years old. While in East Lansing, Logan worked in the music programs at First Presbyterian Church of Lansing and Grace Lutheran Church. Logan studied conducting with Dr. Sandra Snow and Dr. Jonathan Reed and private voice with Peter Lightfoot and Dr. Anne Nispel. Continuing her passion for helping students achieve personal musicianship, Logan taught private vocal and piano lessons at Avalon School of the Arts.